Khabib vs McGregor is on like Donkey Kong! 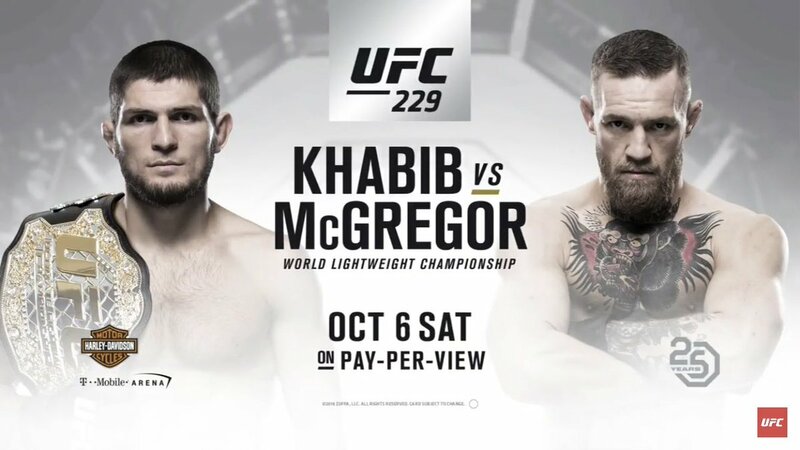 At the UFC 25th anniversary press conference, LA, California, the world’s largest promotion announced the much anticipated return of Conor McGregor in the biggest fight in MMA today against current UFC Lightweight champion, Khabib ‘The Eagle’ Nurmagomedov in Las Vegas on October 6th. Conor McGregor took to instagram on Thursday to announce an apparent return to the Octagon for the first time since defeating Eddie Alvarez in November 2016 for the UFC Lightweight title. In the interim, Mcgregor fought Floyd ‘Money’ Mayweather in a landmark, incredibly lucrative blockbuster and then was stripped of his UFC Lightweight title. He then, incredibly, drew serious controversy in that UFC 223 attack which left the card depleted and many wondering whether he would ever return to the octagon again. What is to expected from a much more wealthy and much less active Mcgregor against such a dangerous, undefeated, dominant wrestling force in Khabib. Time will tell. In an interesting turn of events the current champion Khabib tweeted UFC President Dana White shortly after the announcement, apparently questioning the terms of the announcement.